September 5, 2018 – Taurus is pleased to announce the signing of a long-term distribution agreement with SUL4R-PLUS®, LLC, a provider of innovative fertilizer products for the agricultural market. Together through this exclusive distribution agreement, Taurus and SUL4R-PLUS will develop, market and distribute the SUL4R-PLUS® family of fertility products including SUL4R-PLUS® fertilizer and SUL4R-PLUS® BORON fertilizer, and will have the capability to jointly develop custom solutions to better serve our growers needs. SUL4R-PLUS fertilizer is an innovative granular calcium sulfate fertilizer proven to enhance soil health and improve crop nutrition. The seed safe features of SUL4R-PLUS make it a great partner to help growers reduce salt index and boost soil health. By not absorbing moisture from the air, and only dissolving on contact with water in soil solution, it offers immediate availability to the plant. To learn more about SUL4R-PLUS, please visit www.SUL4R-PLUS.com. Based in Louisville, KY, SUL4R-PLUS®, LLC develops innovative products for the agricultural market including SUL4R-PLUS® fertilizer, an in-demand granular calcium sulfate that is engineered to provide improved crop yield for growers. While synthetic gypsum has been used in agriculture applications in the past, SUL4R-PLUS®, LLC has a patented process to create dust free, uniformly sized granules, making calcium and sulfur application easier for the farmer and meeting the increasing demand for higher yields by the regional farming industry. SUL4R-PLUS® BORON fertilizer, SUL4R-PLUS® ZINC fertilizer and SUL4R-PLUS® B+Z fertilizer also now are available. For more information, visit www.SUL4R-PLUS.com or call 844-822-8385. Taurus, a sales, marketing and agronomic support company, focuses on supporting agricultural retailers, agronomy experts and advanced growers by working with manufacturers to strategically develop and market innovative products for use in the Western Canadian Agricultural Industry and abroad. Taurus has offices in Alberta, Saskatchewan and Manitoba, and focuses on four key pillars of agricultural business: Agronomy & Soil Health; Fertility; Biological Inoculants; Plant Enhancement Technologies. For more information about Taurus Agricultural Marketing, please contact one of our representatives, visit us on the web www.taurus.ag or follow us on Twitter @TaurusAgTeam. LOUISVILLE, KY (March 15, 2017) – SUL4R-PLUS®, LLC, a provider of innovative fertilizer products for the agricultural market, announced the addition of another optimized micronutrient product to its SUL4R-PLUS® fertilizer family of products – introducing SUL4R-PLUS® B+Z fertilizer with .5% boron, 1.5% zinc, 18% calcium and 16% sulfur. New SUL4R-PLUS® B+Z fertilizer combines the company’s existing boron and zinc options into one – delivering boron, zinc, calcium and sulfur in every granule to deliver immediate and complete nutrition to hungry crops. SUL4R-PLUS fertilizers use exclusive technology and proven chemistry to engineer products that increase yield and crop quality. Because of the design of the SUL4R-PLUS products, the nutrients can be evenly delivered on every square foot of every acre and spread patterns of 90-120 feet have been demonstrated – resulting in uniform feeding, efficient application, higher yields and better crop quality, DeQuattro said. Additional benefits of the new fertilizer include dust-free handling, immediate water soluble availability and excellent spread uniformity and blendability. SUL4R-PLUS B+Z fertilizer’s uniform size, density and hardness ensure its particles blend well with urea, DAP, MAP and potash and spread evenly over the field. It is phosphorous-free, for P-sensitive and P-restricted zones and provides formulation flexibility, allowing the correct nutrition for crops without overapplying potassium or phosphorous. “The grower will be able to sleep at night, having the confidence he has delivered the available nutrients to every plant in every acre,” added DeQuattro. The SUL4R-PLUS family of fertilizers is an in-demand granular calcium sulfate that is engineered to provide improved soil health and crop yield for growers. SUL4R-PLUS, LLC has a patent-pending process to create granules, making the application of calcium and sulfur easier for the farmer and meeting the increasing demand for sulfur by the farming industry. SUL4R-PLUS products enhance soil quality, boost yield, and improve the health of crops including corn, soybeans, wheat, alfalfa, canola and other crops such as legumes, fruit, vegetables and more. In addition, SUL4R-PLUS fertilizer’s 12+ warehouse locations across the Southeast and Midwest, including Kentucky, Illinois, Indiana, Michigan, Wisconsin, Mississippi, Florida and Pennsylvania, are strategically located with truck, rail and barge capabilities for just in time spring delivery. Click here for a complete list of SUL4R-PLUS warehouse locations. For more information on the entire SUL4R-PLUS product line or to request a free sample, please visit www.SUL4R-PLUS.com. Based in Louisville, KY, SUL4R-PLUS®, LLC develops innovative products for the agricultural market including SUL4R-PLUS® fertilizer, an in-demand granular calcium sulfate that is engineered to provide improved crop yield for growers. While synthetic gypsum has been used in agriculture applications in the past, SUL4R-PLUS®, LLC has a patent-pending process to create granules from the byproduct, making sulfur application easier for the farmer and meeting the increasing demand for sulfur by the regional farming industry. SUL4R-PLUS® BORON fertilizer, SUL4R-PLUS® ZINC fertilizer and SUL4R-PLUS® B+Z fertilizer also now are available. For more information, visit www.SUL4R-PLUS.com or call 844-822-8385. LOUISVILLE, KY (April 27, 2016) – Charah®, Inc., a total solutions company providing unparalleled service and innovation for the coal-fired power generation industry, announced today that Charah Agricultural Products has recently established agreements for three additional warehouse locations for the storage and distribution of SUL4R-PLUS® fertilizer, a pelletized calcium sulfate with Boron and Zinc options available. Charah Agricultural Products has added a new supply location through Consolidated Grain & Barge (CGB) in Jeffersonville, Indiana. This location provides least cost sourcing via truck or rail through the warehouse in Jeffersonville for locations throughout the Midwest including Indiana, Illinois, Michigan and Ohio. Charah Agricultural Products has added a new supply location through Growmark, Inc. in Seneca, Illinois. This location provides marketplace access via truck and rail through the warehouse in Seneca for locations throughout Illinois and Wisconsin. Charah Agricultural Products has added a new supply location through Tampa-based, JM Fertilizer LLC through JM’s warehouse in New Orleans, Louisiana. This warehouse provides distribution for locations throughout the South, Southeast and Mississippi Delta as well as Latin America and Central America. Charah Agricultural Products focuses on developing innovative products for the agricultural market including SUL4R-PLUS fertilizer, an on-demand supply of pelletized calcium sulfate that is engineered to provide improved crop yield for growers. While synthetic gypsum has been used in agriculture applications in the past, Charah Agricultural Products has a patent-pending process to pelletize the product, making the application of calcium and sulfur easier and more efficient for the farmer therefore making it more efficient for the farmer to meet the industry’s increasing demand for sulfur. Unlike any other sulfur-fertilizer product on the market, SUL4R-PLUS’s pelletized form makes sulfur and calcium application efficient and immediately available to the plants, enhances soil quality, boosts yield, and improves the health of crops including corn, soybeans, wheat, alfalfa, and other crops such as legumes, fruit, vegetables and more. Charah now has facilities in the Midwest and South with locations in Tampa, FL; Louisville, KY; Farmer City, IL; Hoopeston, IL; Seneca, IL; Jeffersonville, IN; Monon, IN; New Orleans, LA; Breckenridge, MI; Middleton, MI; St. Louis, MO; Fairless Hills, PA; Prairie Du Chien, WI and La Crosse, WI to provide greater access to SUL4R-PLUS fertilizer. LOUISVILLE, KY (March 22, 2016) – Charah®, Inc., a total solutions company providing agricultural products including SUL4R-PLUS® fertilizer, announced the introduction of two new micronutrient products to its SUL4R-PLUS® fertilizer product line – SUL4R-PLUS ZINC fertilizer (zinc, calcium and sulfur) and SUL4R-PLUS BORON fertilizer (boron, calcium and sulfur). The micronutrients found in each new product are engineered to deliver immediate nutrition in every particle to ensure plants are uniformly fed. “We follow the 4Rs of crop nutrition – right place, right time, right product and right rate,” said Scott Vanderventer, Charah’s director of agricultural product sales. “We took the ‘best in class, quality calcium sulfate’ and added a zinc and boron option to the retailer’s portfolio of products.” SUL4R-PLUS products are produced at the highest of standards which make them the most efficient and cost effective products on the market today. While there are other similar fertilizers on the market, added Vanderventer, none of those products have the technology needed to make micro-nutrition available to every plant in the acre. Charah uses exclusive technology and proven chemistry to engineer products that increase yield and crop quality. When SUL4R-PLUS products are used at recommended rates, they can deliver 30 to 40 pellets per square foot, providing growers with peace of mind that available crop nutrition is supplied to every plant in the field, Vanderventer said. Additional benefits of the product include dust-free handling, immediate water soluble availability and excellent spread uniformity and blend ability. “The grower will be able to sleep at night, having the confidence he has delivered the available nutrients to every plant in every acre,” said Vanderventer. SUL4R-PLUS fertilizer is an on-demand supply of pelletized calcium sulfate that is engineered to provide improved crop yield for growers. Charah Agricultural Products has a patent-pending process to pelletize the product, making the application of calcium and sulfur easier and more efficient for the farmer, therefore, making it more efficient for the farmer to meet the industry’s increasing demand for sulfur. For more information on the SUL4R-PLUS product line, or to request a free sample, please visit www.SUL4R-PLUS.com. Charah Agricultural Products focuses on developing innovative products for the agricultural market, including SULF4R-PLUS® fertilizer. The company was founded in 1987 and is based in Louisville, KY. Other services under Charah Inc., include construction, operations, sales and marketing. For more information, visit www.charah.com, www.SUL4R-PLUS.com or call 844-822-8385. LOUISVILLE, KY (February 29, 2016) – Charah®, Inc., a total solutions company providing unparalleled service and innovation for the coal-fired power generation industry, announced today that Allen Taylor has joined the team as Sales Manager for Charah Agricultural Products, effective February 22, 2016. He is based in Johnson City, Texas and is responsible for sales and market development for SUL4R-PLUS® fertilizer and other Charah agricultural products to distributors and dealers in the Southwest Region including Texas, Louisiana, Arkansas, and Mississippi. Allen has a diverse background in agriculture including experience in the vegetable seed, crop protection, crop nutrition, and specialty product industries. He has held positions in the Pacific Northwest, California, Texas, and the Mississippi Delta region working directly in the tree fruit and nut, vegetable, citrus, and row crop markets. Most recently, Allen held a Market Development & Sales position with the Verdesian Company. Allen attended Texas A&M University and holds a B.S. degree in Agricultural Economics from Washington State University. Charah Agricultural Products focuses on developing innovative products for the agricultural market including SUL4R-PLUS® fertilizer, an on-demand supply of pelletized calcium sulfate that is engineered to provide improved crop yield for growers. While synthetic gypsum has been used in agriculture applications in the past, Charah Agricultural Products has a patent-pending process to pelletize the product, making the application of calcium and sulfur easier and more efficient for the farmer therefore making it more efficient for the farmer to meet the industry’s increasing demand for sulfur. Unlike any other sulfur-fertilizer product on the market, SUL4R-PLUS fertilizer’s pelletized form makes sulfur and calcium application efficient and immediately available to the plants, enhances soil quality, boosts yield, and improves the health of crops including corn, soybeans, wheat, alfalfa, and other crops such as legumes, fruit, vegetables and more. For more information, visit www.SUL4R-PLUS.com or contact Allen directly at all 512-422-8513 or ataylor@charah.com. LOUISVILLE, KY (February 11, 2016 ) – Charah®, Inc., a total solutions company providing unparalleled service and innovation for the coal-fired power generation industry, is pleased to have been featured in the February 2016 issue of Michigan Country Lines magazine, published by the Michigan Electric Cooperative Association (MECA). Click here to read the article entitled “Keeping Soil Healthy: Gypsum’s Role in Agriculture and Electricity” detailing the benefits of synthetic gypsum and Charah Agricultural Product’s unique SUL4R-PLUS® fertilizer. Charah Agricultural Products focuses on developing innovative products for the agricultural market including SUL4R-PLUS® fertilizer, an on-demand supply of pelletized calcium sulfate that is engineered to provide improved crop yield for growers. While synthetic gypsum has been used in agriculture applications in the past, Charah Agricultural Products has a patent-pending process to pelletize the product, making the application of calcium and sulfur easier and more efficient for the farmer therefore making it more efficient for the farmer to meet the industry’s increasing demand for sulfur. Unlike any other sulfur-fertilizer product on the market, SUL4R-PLUS’s pelletized form makes sulfur and calcium application efficient and immediately available to the plants, enhances soil quality, boosts yield, and improves the health of crops including corn, soybeans, wheat, alfalfa, and other crops such as legumes, fruit, vegetables and more. The Michigan Country Lines article quotes Brian Stratton, a third generation farmer in Vestaburg, MI who has been using SUL4R-PLUS fertilizer on his crops. Mr. Stratton is currently participating in a Charah field study to gather data and measure the effectiveness of SUL4R-PLUS fertilizer on the property he leases from Wolverine Power Cooperative. “I like the pelletized product because it’s a much friendlier product to handle,” Stratton says. “It spreads more evenly and you don’t have the dust to contend with.” Results from the first year’s use are coming in and, despite a heavy dose of rain that caused root rot to his cranberry beans, the yield results look promising. For more information, please visit www.SUL4R-PLUS.com. 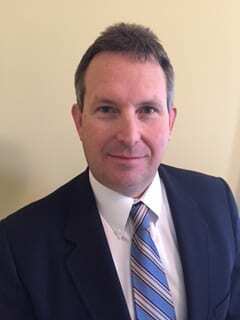 LOUISVILLE, KY (November 1, 2015) – Charah®, Inc., a total solutions company providing unparalleled service and innovation for the coal-fired power generation industry, announces that Daron Bell has joined the team as Senior Business Manager for Charah Agricultural Products, effective November 1, 2015. He is based in Clarkson, Kentucky and is responsible for SUL4R-PLUS® fertilizer and other Charah agricultural products sales support and business management. Daron has more than 20 years of experience in the agricultural retail industry. Most recently, he was Branch Manager for Crop Production Services, Clarkson, Kentucky. He earned a BA in Chemistry from the University of Louisville and completed the CCA (Certified Crop Advisor) certification. In addition, Daron has been a certified volunteer firefighter with the Commonwealth of Kentucky for 28 years with Clarkson Fire & Rescue, with the current rank of Captain. LOUISVILLE, KY (August 25, 2015) – Charah®, Inc., a total solutions company providing unparalleled service and innovation for the coal-fired electric utility industry, announced today that Charah Agricultural Products has just completed its first international delivery of SUL4R-PLUS® fertilizer to a customer in the Dominican Republic. SUL4R-PLUS fertilizer, in its unique patent-pending pelletized form, is an in-demand pelletized calcium sulfate that is engineered to provide improved crop yield for growers. While synthetic gypsum has been used in agriculture applications in the past, Charah Agricultural Products has a patent-pending process to pelletize the byproduct, making sulfur and calcium application easier for the farmer and meeting the increasing demand for sulfur by the regional farming industry. Unlike any other sulfur-fertilizer product on the market, SUL4R-PLUS crop nutrient’s pelletized form makes sulfur and calcium application easier, enhances soil quality and boosts yield of all crops including corn, soybeans, wheat, alfalfa, and other crops including legumes, fruit, vegetables and more. The customer in the Dominican Republic plans to use SUL4R-PLUS calcium sulfate in fertilizer blends on variety of fruit and vegetables including green peppers, sugarcane and citrus to enhance yields and in turn profits. In addition, the product is being used directly for golf courses as a soil amendment and to help green the grass. Charah Agricultural Products is currently quoting additional orders to other countries throughout the region. Charah has added several storage facilities in the Mid-West Marketplace with locations now in Louisville, KY; Farmer City, IL; Hoopeston, IL; Breckenridge, MI; Middleton, MI; St. Louis, MO; Caledonia, OH; Prairie Du Chien, WI and Lacrosse, WI to provide greater access to SUL4R-PLUS fertilizer. For more information, visit www.SUL4R-PLUS.com. Founded in 1987, Charah®, Inc. is a total solutions company providing unparalleled service and innovation. Based in Louisville, KY, Charah today is one of the largest providers of coal combustion product management and power plant support services for the coal-fired electric utility industry. Charah performs all aspects of managing and recovering the resource value from byproducts generated during the combustion of coal in the production of electricity. Services include construction, operations, sales & marketing, and innovative product development for the agricultural market. For more information, visit www.charah.com, www.SUL4R-PLUS.com or call 844-822-8385. LOUISVILLE, KY (June 1, 2015) – Charah®, Inc., a total solutions company providing unparalleled service and innovation for the coal-fired electric utility industry, announced today that Dennis Gilmore has joined the team as Sales Manager for Charah Agricultural Products, effective June 1, 2015. He is based in Georgetown, Kentucky and is responsible for SUL4R-PLUS® product and other Charah agricultural products sales to distributors and select dealers in Kentucky, southern Indiana, southeastern Illinois, Tennessee and Missouri. Dennis has more than 35 years of experience in the wholesale agricultural supply industry. Most recently, he worked for Providence Agriculture as a Wholesale Sales Representative with previous work experience including United Suppliers, Big Rivers Agri Supply and Monsanto. He attended Murray State University.